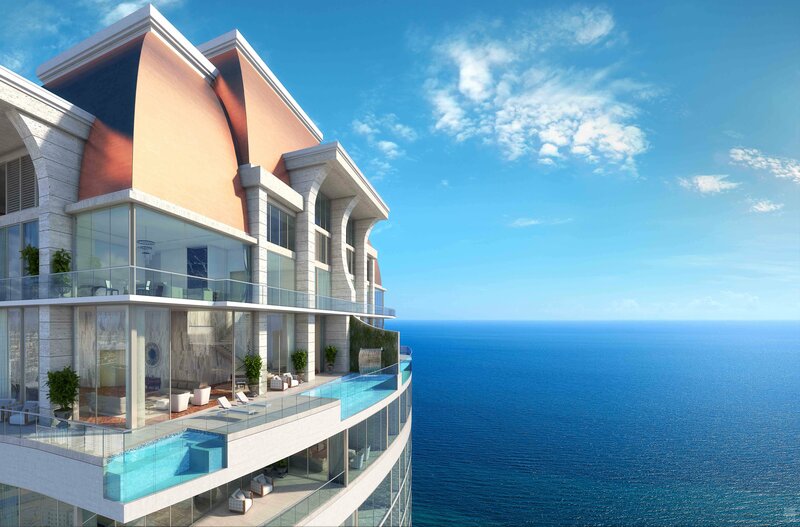 Presenting Casa Di Mare, 9,085 square feet of palatial living at the highly anticipated Estates at Acqualina. 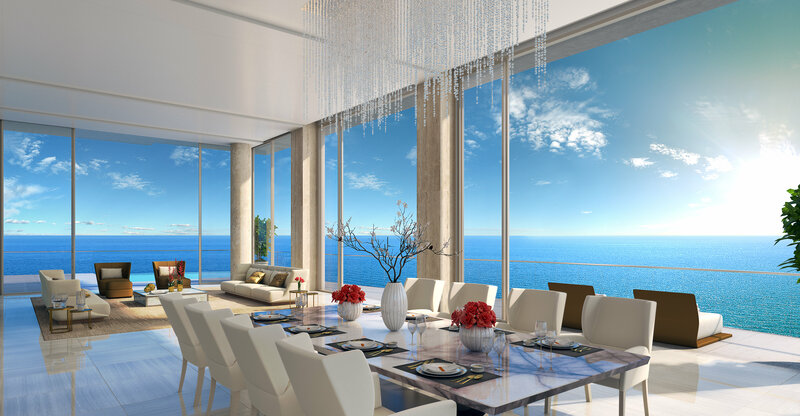 Enter this regal domain through a luxe private foyer with ten-foot-high double doors that open onto an expansive living area including a great room, dining room, kitchen and breakfast area – all with marble or wood floors and stunning ocean views. 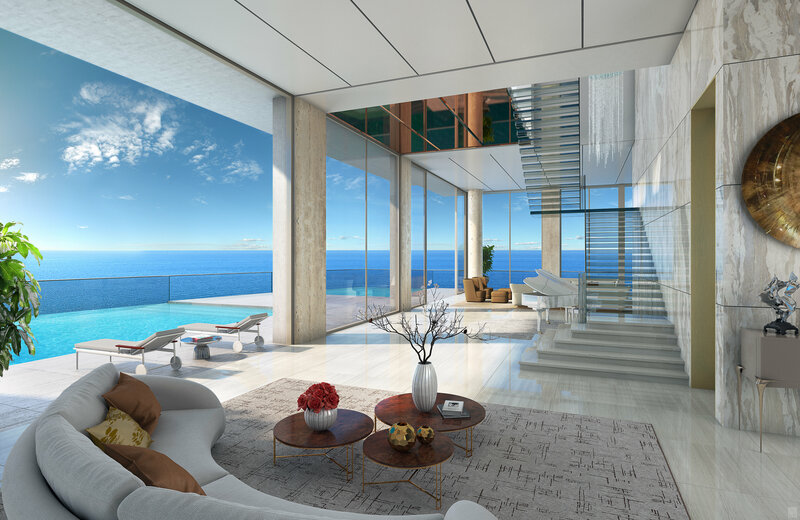 This six-bedroom, eight-and-a-half bath penthouse also features a media room, an exercise room and outdoor living spaces complete with a private pool, sauna and summer kitchen — all designed in the tradition of grand South Florida lifestyles. Casa Di Mare is being offered at $35 million. ORAL REPRESENTATIONS CANNOT BE RELIED UPON AS CORRECTLY STATING REPRESENTATIONS OF THE DEVELOPER. FOR CORRECT REPRESENTATIONS, MAKE REFERENCE TO THE DOCUMENTS REQUIRED BY SECTION 718.503, FLORIDA STATUTES, TO BE FURNISHED BY A DEVELOPER TO A BUYER OR LESSEE. 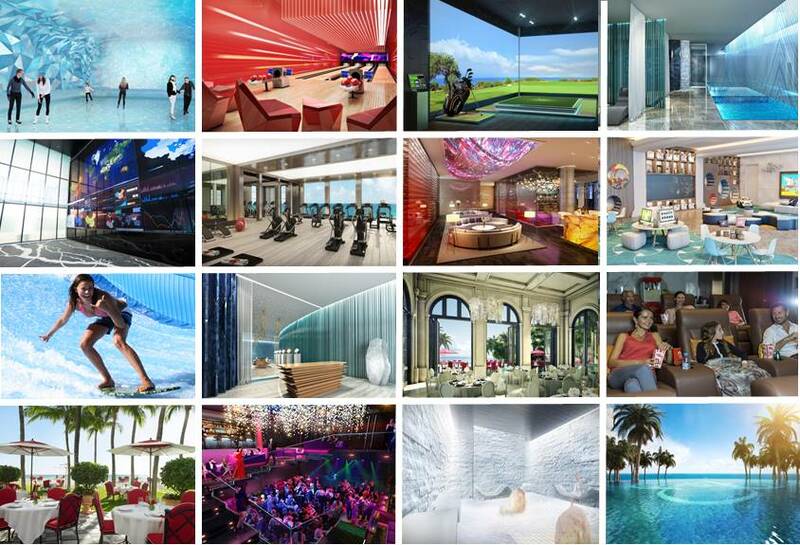 All artist’s or architectural renderings, sketches, graphic materials and photos depicted or otherwise described herein are proposed and conceptual only, and are based upon preliminary development plans, which are subject to change. This is not an offering in any state in which registration is required but in which registration requirements have not yet been met. This advertisement is not an offering. It is a solicitation of interest in the advertised property.